Billy G. Bishop, 81, husband to Ethel Payne Bishop, passed away Tuesday, December 25, 2018 at his home in Stamping Ground, Kentucky. He was born February 4, 1937 in Pike County, Kentucky to the late Kern Bishop and Buena Justice Bishop Adams. Billy attended Corinth Christian Church in Stamping Ground, Kentucky. Billy joined the Air Force in 1955, and upon returning, he attended Eastern Kentucky University. He began his teaching career in 1961 in Mt. Gilead, Ohio, and in 1965 moved to Trenton, Ohio where he finished his career as an Educator in Administration, retiring in 1988 as Superintendent of Edgewood City Schools in Ohio. For many years, he was a member of the Air National Guard. He loved farming, which is what he did after retiring. 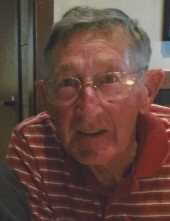 He was a member and former President of Scott County Farm Bureau. Along with his wife, he is survived by daughter, Betsy (Dave) Fredericks of Stamping Ground, Kentucky, grandchildren, Kennedy & Taylor Fredericks, and sisters, Aderine Justice of Lexington, Kentucky, and Gerri Smith of Bristol, Virginia. To send flowers or a remembrance gift to the family of Billy G. Bishop, please visit our Tribute Store. "Email Address" would like to share the life celebration of Billy G. Bishop. Click on the "link" to go to share a favorite memory or leave a condolence message for the family.